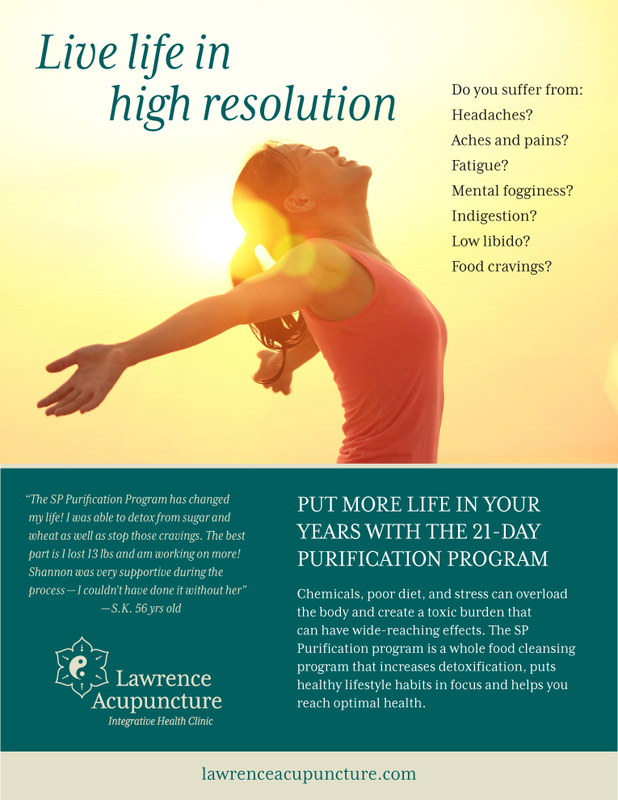 The 21 Day Purification Program will suit those looking for a whole body reboot, enhancing liver detoxification, resetting hormones, stimulating metabolism, promoting weight loss and reducing overall inflammation in the body. Studies show the 21 Day Purification Program also promotes cardiovascular health by positively affecting weight and cholesterol (RESEARCH STUDIES HERE). The program consists of a whole-foods diet plan along with specific nutritional and herbal supplements to promote weight loss, reduce inflammation, enhance liver detoxification and reset hormones. A consultation before you begin will allow us to specifically tailor the program to your individual needs - there is not a one size fits all cleanse, and this program is customizable to suit your health goals and needs. Not sure if you could benefit from a 10 or 21 Day program? Take the Toxicity Questionnaire HERE.